Cooling water is used in most power generation facilities, including nuclear. After the heat generated from combustion or fusion is transferred to the cooling water, it is discharged to a nearby stream, lake or ocean. This heated water can have a tremendous effect on the local ecosystem. By adding an effluent diffuser system outfitted with Red Valve's patented Tideflex Diffuser Valves, the heated water is discharged over a wider area and diluted more effectively, reducing temperatures. 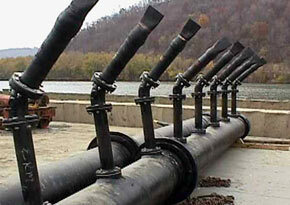 Red Valve Diffuser Systems have been installed in all types of waterways, from small streams to the deepest oceans. The unique properties of the Tideflex Diffuser Valve increases the velocity of the discharge and creates a flattened plume-shape discharge that is carried by currents more effectively. Acting as a check valve, the Tideflex Diffuser Valve also prevents backflow of seawater and the intrusion of marine growth, sand and silt into the pipeline. Red Valve also manufactures a full line of Redflex Expansion Joints and Rubber Fittings that are used extensively on cooling water. Redflex products are available in sizes ranging from 1/2 inch to over 96 inches. 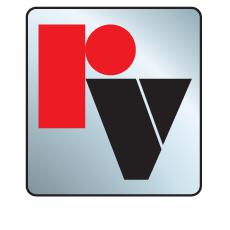 Red Valve can custom-build almost any configuration or offset to meet your unique design or retrofitting needs.